“Shalom Shanghai” is a showcase of Xiang’s 90-minute one-act musical “Shanghai Sonatas”, set to premiere in the 2020 season. "Shanghai Sonatas" features 10-12 original songs and projection animation art telling the story of a Chinese-American violinist tracing their musical roots back to the over 20,000 Jewish refugees that fled to Shanghai during WWII. About 450 of these refugees were classical musicians. Wolfgang Fraenkel, a German-Jewish composer and performer, was one of the many Jewish refugees who came to Shanghai. While he was in Shanghai from 1939-1947, he actively performed and taught violin, viola, and piano. He created ensembles of Chinese musicians, an important step forward from the majority foreigner ensembles that existed in China at the time. The contributions of Jewish musicians, including Fraenkel, created a new genre of classical music that was a synthesis of Chinese folk music and European compositional techniques. He is one of the many Jewish musicians helped popularize western classical music and shape the first generation of Chinese musicians and composers. Besides Shanghai, the city of Harbin in Northeastern China also has a substantial Jewish minority which promoted classical music and instruments. 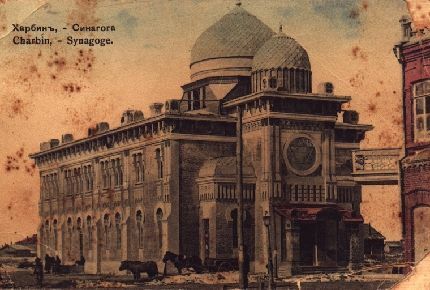 However, Harbin’s Jewish community mostly arrived before the 1920s as refugees of the Bolshevik Revolution and WWI. During this time, many pieces of Russian culture, including their music, took hold in Harbin. One significant example of this is the Harbin symphony. Formed in 1908, it was the first symphony in China. The orchestra was comprised mostly of Russian players and their first performance was “Tchaikovsky's "1812 Overture". It wasn’t until later that China developed its own violinists or composition style with the help of the 2nd wave of Jewish Refugees. In recent years, Harbin, in particular, has promoted its strong tradition in classical music. As part of a large government effort to encourage a cultural renaissance, the Chinese government unveiled the over 850,000 sq ft Harbin Opera House in 2015. 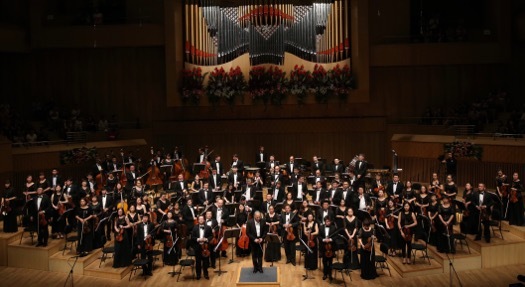 Harbin has also hosted the Alice & Eleonore Schoenfeld International String Competition, the Harbin Summer Music Festival, and several concerts by the Harbin Symphony with members of the Israel Philharmonic. During this time, the government has begun acknowledging the role Jewish people played in China’s culture and classical music. 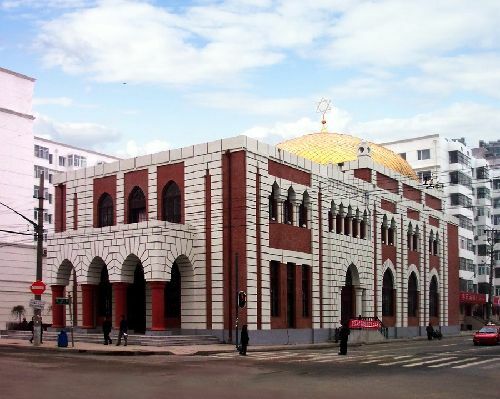 A previously neglected Jewish cemetery is being maintained and the government has also begun investing in the restoration of Harbin’s old Jewish buildings. While almost all Jewish people emigrated from China after the formation of Israel, they left a legacy that created a new generation of Chinese musicians. With the "Shanghai Sonatas" and restoration of historical buildings, it's great to see the story of these two cultures being told. If you missed Xiang Gao's performance in Phoenix, follow his website and calendar. There might be a performance in your area soon!